We are the creators of world-class fragrances fit for the modern-day Emperors and Empresses.Be it a social gathering, a business meet or a casual outing, we have the perfect fragrance for your style needs. 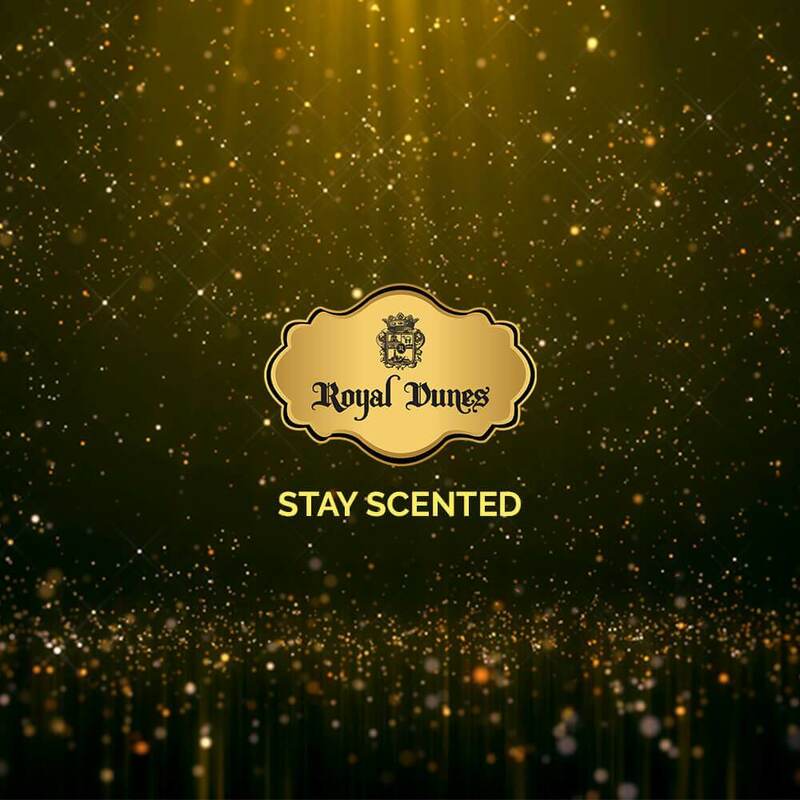 Royal Dunes, the brand, identifies with the latest and the most luxurious trends in fashion and fragrances. The brand commits to discovering and developing world class fragrances that smells luxury in every whiff. A royal upgrade to your style quotient is what the brand promises. The brand known for its versatile range of fragrances specialises in crafting bespoke signature scents that compliments every personality. Bought a Royal Dunes fragrance for him as a gift for my husband and he loved it. It’s a subtle yet sophisticated scent and he was impressed by how long lasting it was! It’s a lovely fragrance that’s soft and feminine. The best part is the fragrance suits my moods as if it were especially made for me. And it works perfectly for both day time and night time use too. Royal Dunes is easily my favorite fragrance collection. I always get plenty of compliments when i go out wearing one of their scents. I admire the Royal Dunes brand of perfumes. The scent gives me a sensual feeling which I never found in other perfumes. more importantly, my husband loves the smell on me.